"What, are you trying to get my mother into the Million-Mile-High Club?" Terrorist (or "freedom fighter") Kenny Bilko seeks independence for what Canadian province? "No, son, you're gonna die." For three years straight, Malory gave what Christmas present to her building's superintendent? 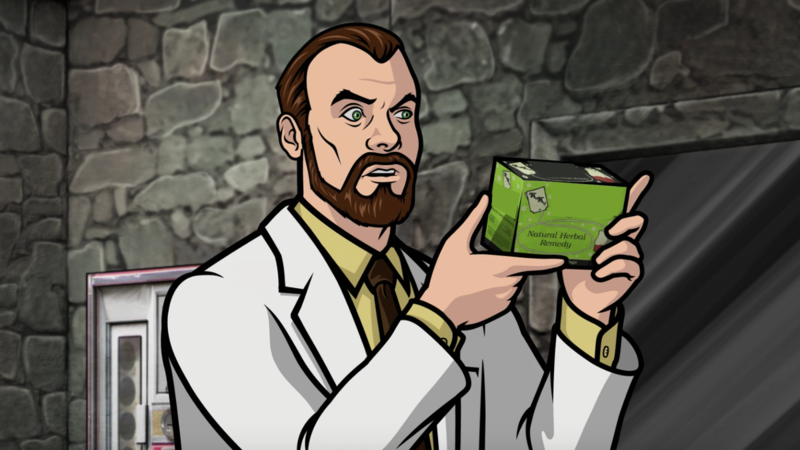 Talk about ridiculous: $9,000 was the lowest quote Archer received to add what structure to his apartment? "Yeah, so that safety's tricky, huh?" Name both characters who require defibrillation after getting "space blastered" by Archer. What name is obscured here? 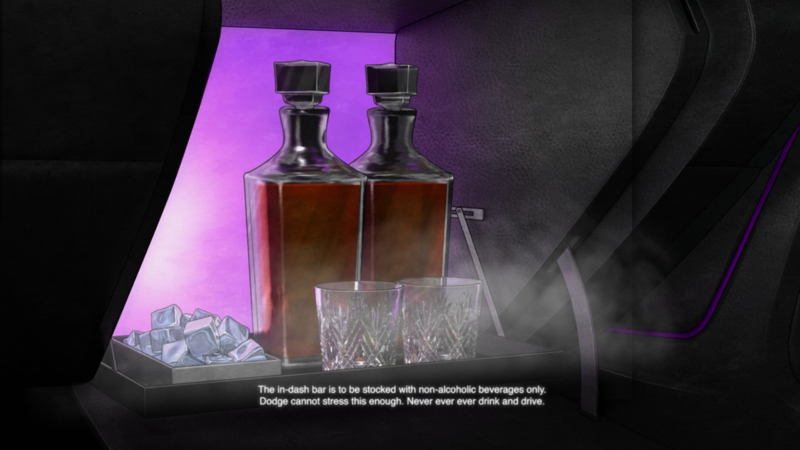 Cyril is saving a bottle of Glengoolie Blue for a special occasion, but Archer chugs the whole thing. The bottle was a gift to Cyril's grandfather from whom? "I liter — figuratively scoured the globe for these special herbs, at no small expense to myself." The result is what alliterative product? A clip from what comic strip appears on the fridge in the safe house? "What the hell, dumb guy!" It has knockout gas, a garotte, and even (Archer thinks) a laser. What is the brand name of this useful gadget? ARCHER: You can kiss ____! CHERYL/CAROL: Why am I in a, whatever, dune-buggy? 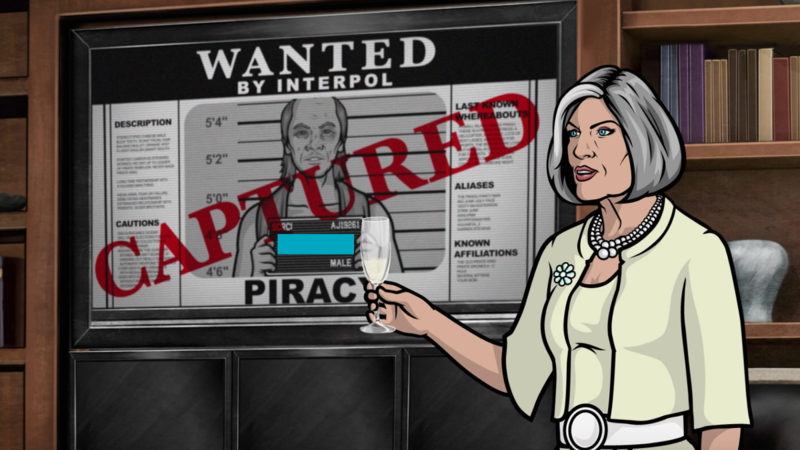 ARCHER: Remember? We picked you up last night, said we were going on a trip? CHERYL/CAROL: No. And where, Six Flags Over _____?